There are a few things to note here. First, this verse tells us that we have received gifts from God. We cannot let them be idle, we have to use them for His honor and glory. It might be that we are unaware of the gifts that we have, but we definitely do have them, and we can find out what they are with the revelation from God through His word. Second, it says here that these gifts have a purpose—to serve others. Not ourselves, as some people might have thought, but others. Once we learn what our gift is, we have to use it to be of a blessing to those around us. Third, it says that we have to faithfully administer God’s grace in its various forms. Grace comes in various forms. Romans 12:6-8 says “We have different gifts, according to the grace given to each of us. If your gift is prophesying, then prophesy in accordance with your faith; If it is serving, then serve; if it is teaching, then teach. If it is to encourage, then give encouragement; if it is giving, then give generously; if it is to lead, do it diligently; If it is to show mercy, do it cheerfully.” By the grace of God we have received something powerful to be a blessing to others. There may be gifts that you have that you are not yet aware of! 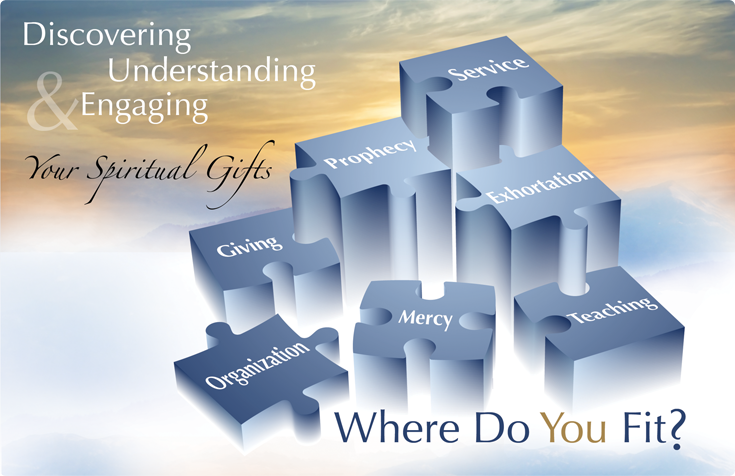 I urge you to ask God to show you what your spiritual gifts are, and learn about them. Get equipped with knowledge and the wisdom that God provides through His word, prayer, fasting, and activate those gifts! There is a world out there who needs them! His Great Power Gives Us Strength! Isaiah 40:29– He gives power to weak. He increases the strength of him who has no might. Are you feeling tired or weary, and like you are just not strong enough to pass the situation you’re in? This verse says that He gives power to the faint, and strength to those who have none. Being the humans we are, though, we might doubt Him sometimes. That might be why the whole chapter reminds us of the greatness of God! 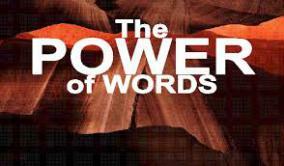 Verse 8 starts by saying that the grass withers, the flower fades; but the word of our God stands forever. Everything on this earth will pass, but His word always remains! Then it reminds us of His greatness in verses 12-15: Who has measured the waters in the hollow of his hand, and marked off the sky with his span, and calculated the dust of the earth in a measuring basket, and weighted the mountains in scales, and the hills in a balance? Who has directed his Spirit or taught him as a counselor? Who did he take counsel with, and who instructed him and taught him in the path of justice, and taught him knowledge, and showed him the way of understanding? Behold, the nations are like a drop in a bucket, and are regarded as a speck of dust on a balance. Behold, he lifts up the islands like a very little thing. Verse 18 then says, To whom then will you liken God? Or what likeness will you compare him? Verses 22-23: It is he who sits above the circle on the earth, and its inhabitants are like grasshoppers; who stretches out the heavens like a curtain, and spreads them out like a tent to dwell in; who brings princes to nothing; who makes the judges of the earth like meaningless. Verse 25: “To whom then will you liken me? Who is my equal?” Says the Holy One. Verse 28 Haven’t you known? Haven’t you heard? The everlasting God, Yahweh, The Creator of the ends of the earth, doesn’t faint. He isn’t weary. His understanding is unsearchable. How beautiful is this? 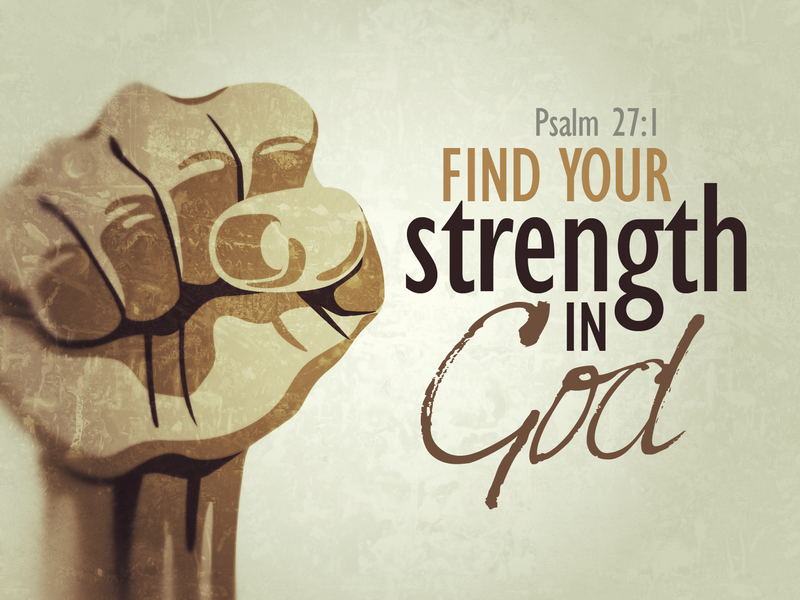 We may worry because we are weak, but God, the one who doesn’t faint and isn’t weary, gives us the strength! This chapter ends with verse 31 that says, “But those who wait for Yahweh will renew their strength. They will mount up with wings like eagles. They will run, and not be weary. They will walk, and not faint. All this is through His power and strength, because if it was through ours, some of us would be finished before the task would even start; but with Him, there is nothing that can tear us apart! Nothing that can break us! He is a wonderful, merciful, and loving God that gives us this strength that no one can take away! Now we can truly tell our problem how BIG our God is instead of telling God how big our problem is! Ephesians 4:29- Let no corruption talk come out of your mouths, but only such as is good for building up, as fits the occasion, that it may give grace to those who hear. 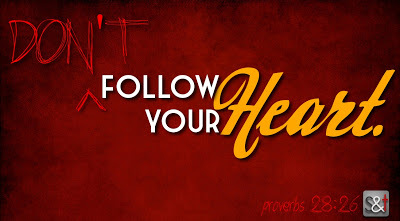 God tells us that we should follow what He asks of us, and not what our hearts tell us. Numbers 15:39- “Remember all the commandments of the Lord, and do them; and that ye seek not after your own heart and your own eyes…” It’s easy to do what we feel in our hearts. It’s pleasing to us to do what we want to do, and hard to do what God asks of us, but God tells us to give all of that up. Joshua 24:23- Now therefore put away, said he, the strange gods which are among you, and incline your heart unto the Lord God of Israel.” What exactly are “strange gods”? It can be anything we seek that isn’t right. Anything our hearts desire that isn’t right in God’s eye. “Estaban junto a la cruz de Jesus su madre, y la hermana de su madre, Maria mujer de Cleofas, y Maria Magdalena. 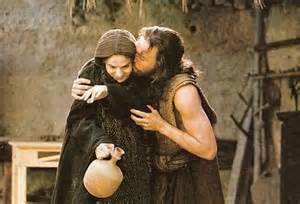 Cuando vio Jesus a su madre, y al discípulo a quien el amaba, que estaba presente, dijo a su madre: Mujer, he ahí tu hijo. Despues dijo al discípulo: He ahí tu madre. Y desde aquella hora el discípulo la recibió en su casa.” JUAN 19:25-27. Jesus se encontraba en sus últimos minutos en la cruz. Azotado, escupido, insultado, ridiculizado, abatido, débil por perdida de tanta sangre, su boca reseca sin tomar una gota de agua por horas, con todo el peso del pecado del mundo sobre sus hombros, con dificultad para respirar y llenar de oxigeno sus pulmones a puntos de colapsar mientras su espalda con llagas abiertas tallaban contra la dura y rustica madera de la cruz en la que colgaba el Salvador del mundo por unos clavos. En medio de todo esto, mientras El esta reconciliando al mundo con el Padre Celestial, el mira a su madre Maria, y se preocupa por ella porque la amaba. Quizas sin fuerzas para sostener vida en su cuerpo carnal, Jesus usa hasta la ultima gota de energía para no morir hasta asegurarse que su madre iba a estar bien. Que gran ejemplo como hijo. Para ese entonces se cree que Maria era pobre y quizás sin un lugar donde vivir. Jesus mira a Juan, el discípulo amado y le encomienda a su madre Maria para que la cuide, para que la proteja, y para suplir sus necesidades. Jesus sabia que de todos los discípulos, el que escogio para el cuidado de su propia madre fue el que representaba AMOR! Porque? Porque cuando haces las cosas por amor, no es un trabajo, no requiere labor, no es una carga… Jesus sabia que Juan, podría cumplir con los deberes de un hijo afectuoso hacia una madre; asi, no dejando “huérfana” a Maria como madre sin hijo. Jesus sabia que Juan la confortaría en su vejez. Que hermoso es Jesus!!! Como muestra que su amor era aun mas grande que todo el sufrimiento que experimentaba en ese momento! Fue hasta que pudo asegurar el futuro de su madre Maria con un hijo que la amaría (Juan), que Jesus en el versículo 30 entrega el espíritu! Como dicen, “no fueron los clavos que lo mantuvieron colgado en esa cruz, fue Su grande e infinito AMOR!